Anything you add to a vehicle's electrical system will leak current. Over time, this can drain your battery, or at least take a little juice from your solar system that could otherwise be conserved. Today I look at which accessories can be left on, and which must be switched. First up is my custom DC-DC ThinkPad charger. 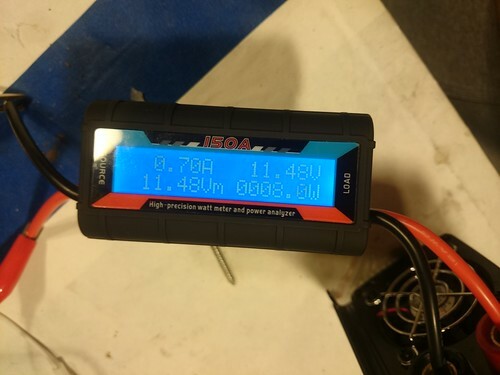 At only 20mA of leakage, my 7.2Ah bench test battery would last 14 days with only this load. Next up is a twin USB regulator capable of charging my tablet. 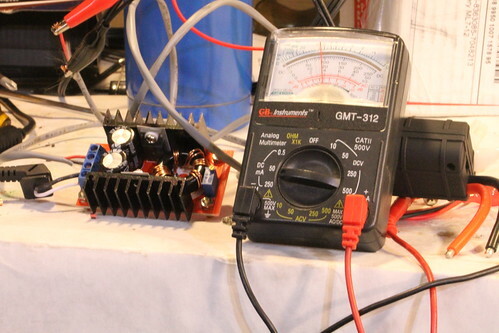 While the LED could probably be removed to save a little current, the total idle current is a bit under 30mA. The initial current was quite a bit higher, but only for a short while, likely while any internal capacitors charged. Handily fitting under 10 milliamps, this voltmeter actually strobes the LEDs, possibly to present a steady brightness over varying voltages. The current does scale with the number of LED segments lit, so perhaps it is best to estimate 15 milliamps. I knew something was amiss when the inverter pegged my meter with the power switch off. As it turns out, the capacitors for this device are on the supply-side of the switch. While this means the load-side of the switch is cut from power immediately upon switching, the leakage of the capacitors is ever-present. 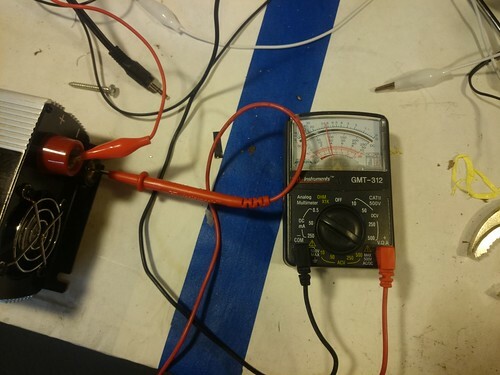 However, after letting the capacitors charge for a few minutes, the leakage was well under a milliampere. Switching on the inverter is another story. 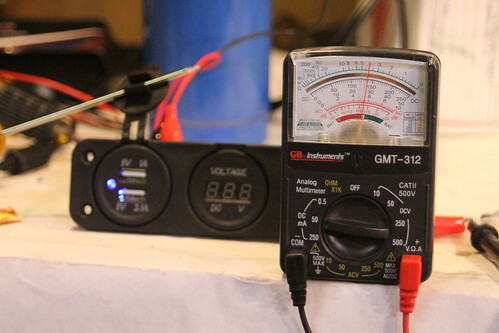 My analog meter was pegged on the 250 milliamp setting, but the 1 amp fuse did not blow. 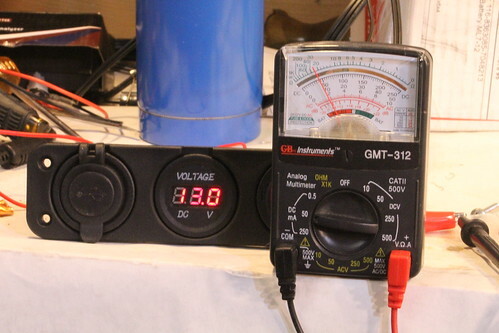 Idling, this inverter consumes a massive 700 milliamps, loading the test battery down by 1.5 volts. Handily, it already has a power switch.